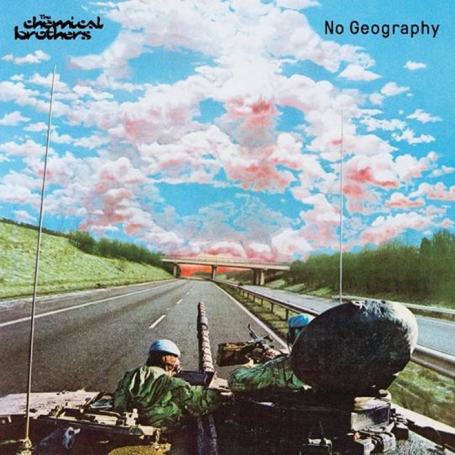 The Chemical Brothers have released brand new single ‘Got To Keep On’ from their forthcoming album No Geography, due out on 12 April 2019. No Geography will be the follow-up to their 2015 Grammy nominated Born In The Echoes, which earned them their sixth consecutive UK No.1 album. Tom Rowlands and Ed Simons tested out their new tracks on audiences whilst on the road last year. Their 2018 shows included their biggest UK headline slots to date at London’s iconic Alexandra Palace as well as DJ sets around the globe. This year The Chemical Brothers will head out on tour with their phenomenal, deeply psychedelic live show. As well as playing huge arena shows in Leeds, Manchester, Glasgow, Cardiff and Birmingham, they’ve scheduled in headline festival performances across the globe. The legendary electronic duo’s ninth studio album is set to feature previously released tracks ‘Free Yourself’ and ‘MAH’ alongside new single ‘Got To Keep On’. Norwegian singer-songwriter Aurora lends vocals to several of the tracks with Japanese rapper NeNe featuring on ‘Eve Of Destruction’.